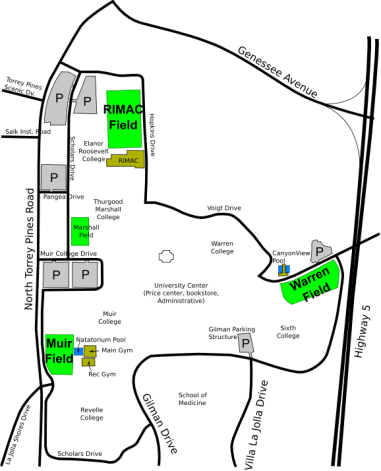 Where on UCSD Muir Field (UCSD maps). Backup location is UCSD Marshall Field. Game Notes This game ended in 2012. If anyone would like to restart it, please update the game with new contact. Commentary "Mostly students, staff, and community, fairly low-key but people still wear cleats and run hard. We go strong spring thru fall. During the winter months we often switch to a lunchtime game."